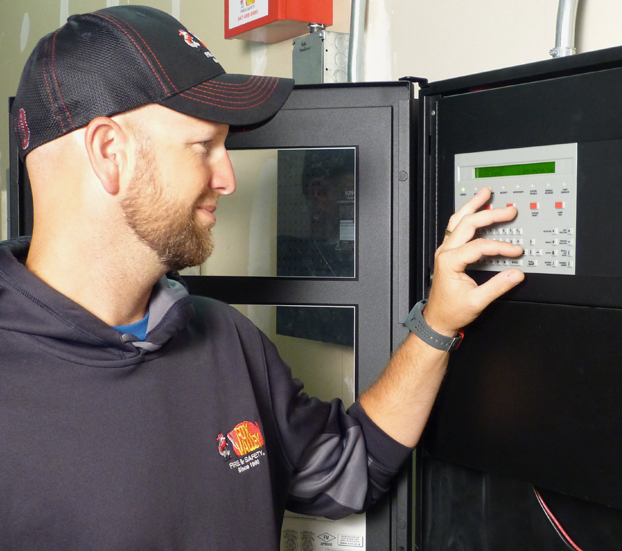 The Network Communications Module (NCM) provides NOTIFIER Intelligent Fire Alarm Control Panels, and NCA and NCA-2 Network Control Annunciators with a means to connect to NOTI-FIRE-NET™. 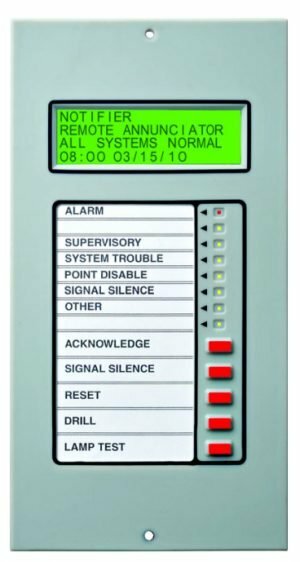 The Network Communications Module (NCM) provides NOTIFIER Intelligent Fire Alarm Control Panels, and NCA and NCA-2 Network Control Annunciators with a means to connect to NOTI-FIRE-NET™. Two types of NCM are available: NCM-W for connecting nodes with twisted-pair wire, and NCM-F for connecting nodes with fiber-optic cable. NOTE: Do not mix NCM and High Speed (HS) NCM on the same system. 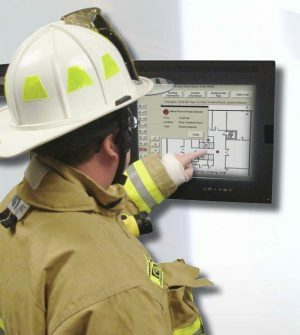 NFPA Style 4 (Class B) operation or NFPA Style 7 (Class A) operation. Transformer coupling provides electrical isolation between nodes. Pluggable terminal wiring with strain relief. Pluggable service connector (feeds signal directly through) in the event that power must be removed from a node. Data is regenerated at each node. 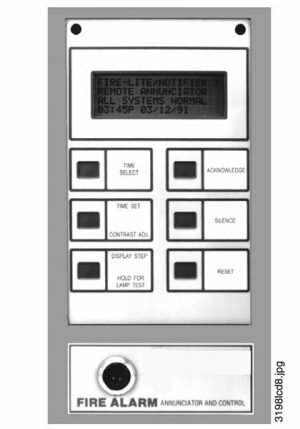 Two network ports to allow simultaneous connection to fire alarm control panel and to programming computer. Enables software and database upload/download over NOTI-FIRE-NET™. Repeaters are available to increase signal. Repeaters may be utilized to switch media type. Up to 3,000 feet (914.4 m) between nodes in a point-to-point fashion (actual distance varies with wire quality). 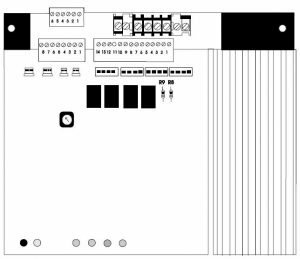 NCM-W Interconnections: When wiring consecutive NCM-W boards, wiring may enter or exit at Port A or Port B. NCM-W port-to-port wiring is not polarity sensitive; use of Port A or Port B is arbitrary. 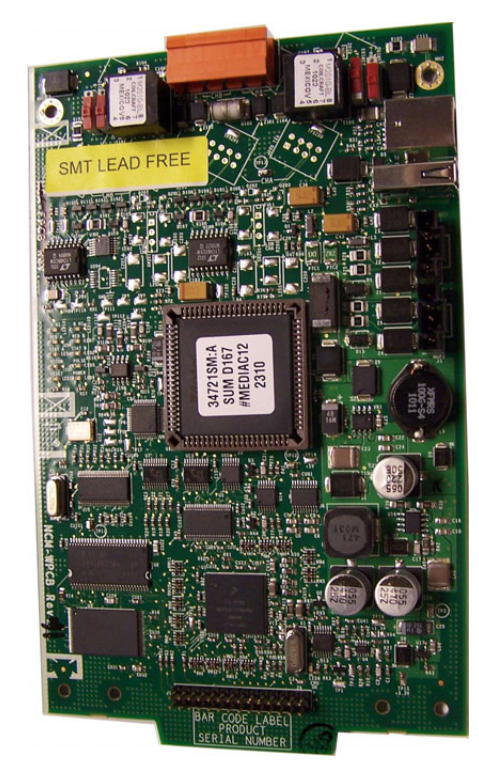 An NCM-W may be connected to any of the following devices: MIB-W, MIB-WF, NAM-232W, NCM-W (in another panel), NCS-W network connection, RPT-W, RPT-WF. NCM-W Switch Functions: The NCM-W provides two sets of switches to simplify network setup. 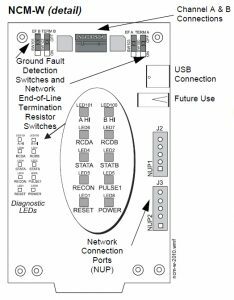 Enable ground fault detection by setting “ON” switch SW103 (Channel A); switch SW101 (Channel B). Activate on-board end-of-line resistors by setting “ON” switch SW100 (Channel A); switch 102 (Channel B). NOTE: Correct configuration is dependent on network design; refer to the NOTI•FIRE•NET™ manual. For further information and diagrams, refer to the NCM Installation Document, 51533. NFPA Style 4 (Class B) or Style 7 (Class A) operation. Data is immune to all environmental noise. Optical isolation prevents ground loops. Fiber type: 62.5/125 micrometers (multimode); or 50/125 micrometers (multimode). Maximum attenuation is 8 dB with 62.5/125 μm fiber and 4.2 dB with 50/125 μm fiber. Wavelength (1): 820 nanometers (use standard 850 nm fiber). 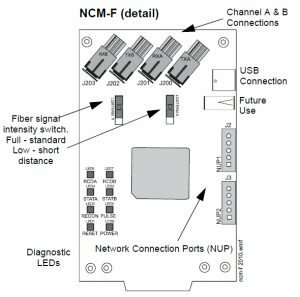 NCM-F Interconnections: When wiring consecutive nodes/ repeaters, fiber cable must exit one board on Transmit (TX) and enter the next node/repeater on Receive (RX). The fiberoptic pair (RX, TX) from Port A of one node/repeater may be connected to either Port A or Port B of another node/repeater. An NCM-F may be connected to any of the following devices: MIB-F, MIB-WF, NAM-232F, another NCM-F, NCS-F network connection, RPT-F, RPT-WF.